Diana Poole has worked as an independent art advisor specialised in Fine Art Photographs since 2013. Diana helps clients develop collecting strategies and advises on the acquisition, management and sale of photographic art from the early 20th Century through to Contemporary. She offers independent advice and research on artists, individual artworks and the market. Through an empathic approach that is focused on understanding her clients, their artistic preferences and personal requirements, Diana is able to provide a service that is uniquely tailored to individual needs. She also provides private tours of gallery exhibitions, art fairs, auctions and artist studios. With over ten years experience as director, curator and researcher for leading galleries in London, Zürich and New York, Diana has built an international network of art dealers, artists, auction specialists and museum curators. Diana holds a BA in Fine and Decorative Arts and an MA in Art Business from Sotheby’s Institute of Art, London, and an MBA from St. Gallen University, Switzerland. Home to over 50 museums and 100 art galleries, Zürich is without a doubt Switzerland’s cultural centre, and the place to find cutting-edge contemporary art. The birthplace of the Dada movement and Le Corbusier’s last great work (Pavillon Le Corbusier), Zürich is a fantastic city to explore Swiss, European and international art. In 2016, Manifesta 11, the European Biennial of Contemporary Art took place in the city. The Löwenbräu complex, a former brewery and warehouse in the industrial neighbourhood, Kreis 5, is now home to numerous pioneering galleries and museums such as the Kunsthalle, Hauser & Wirth and Westbau: The Luma Foundation. There are also plenty of opportunities to discover younger galleries representing emerging artists such as BolteLang, Karma International and Galerie Gregor Staiger. As my passion lies with photographic art, I should mention a few of the leading venues for the medium such as Galerie Edwynn Houk and Bildhalle, not to mention the Fotomuseum in Winterthur (just an hour outside of Zürich) with its ambitious and internationally renowned program. Diana provides private tours in English of art galleries, museums and artist studios, with a particular focus on Fine Art Photographs and Contemporary art. She organises for the gallery directors and sometimes artists, where relevant, to provide insights into the artworks to enrich the experience. She also provides information about the artist’s background, process/techniques and also price information, but always tries to tailor the tours to individual interests and needs. The Fotomuseum in Winterthur is an internationally renowned institution for photography that confronts audiences with challenging and thought provoking exhibitions. 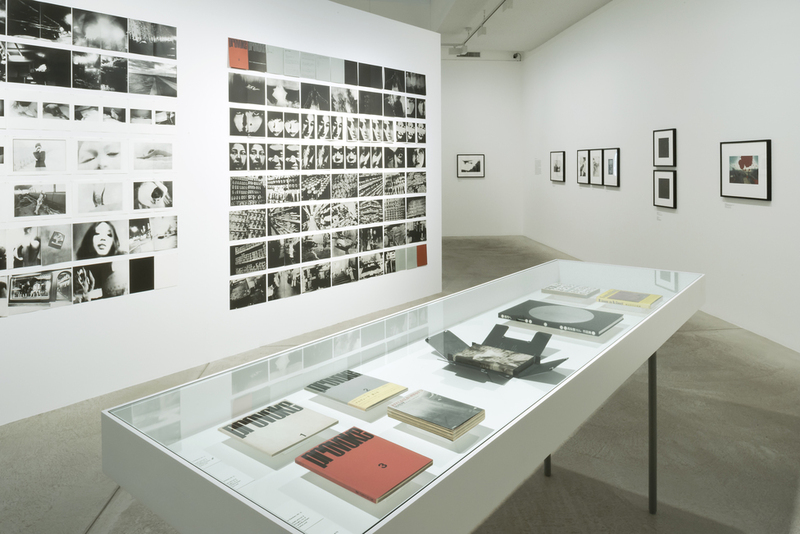 Here an installation shot from their recent “Provoke: Between Protest and Performance – Photography in Japan 1960 – 1975” exhibition (May – August 2016). Provoke (1968-69) was one of the important photographic publications of the 20th century, bringing together influential and political Japanese photography from the 1960s. Café Lang’s interior is inspired by a Viennese coffee house. It has warm wooden finishes, small tables tucked away in alcoves and always a wonderful buzzy ambience. It is situated at Limmatplatz, close to the vibrant Contemporary art scene in Kreis 5, so the perfect place to stop for a coffee break between gallery visits! Galerie Edwynn Houk is a leading photography gallery, established in Chicago in 1980, relocated to New York in 1991 and opened an additional space in Zürich in 2010. Here an installation view from their recent Lillian Bassman exhibition (Nov 2016 – Jan 2017), presenting her 1990s re-workings of earlier negatives from the 1940s and 50s, when she was creating seminal fashion photographs for Harper’s Bazaar. One of the best things about living in, or visiting, Zürich in the summer are the badis. They come in a variety of formats such as wooden structures built over the water (either at the lake or by rivers and canals) and manicured parks. At Badi Enge, just minutes from the city centre, you can enjoy beautiful views of lake Zurich and snow-capped mountains behind, order drinks or food at the kiosk, and swim out to nearby rafts. It’s heaven! Galerie Bolte Lang was founded in 2008 by Anna Bolte and Chaja Lang. Their artists work with all media from sculpture and installation to painting, drawing, collage, photography and film, often with a focus on material and studio practice. Bianca Brunner has a raw and experimental studio process, converting found materials into minimal, often abstract images. She uses photography to obscure what is real, inherently challenging how we understand and interpret what we see.